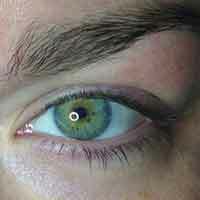 Terra Spa, San Antonio Texas, has been offering eyelash extension since 2006. Whether you are looking for longer lashes, thicker lashes, or a combination of the two; eyelash extensions may be just what you are looking for! As seen in Vogue magazine, lashes are weightless, and give an extremely sensual look both day and night. Whether you are going to the beach, your high school or family reunion, getting married or planning a San antonio town night out! Come with no eye makeup and make sure your eyelashes are dry!! Their natural appearance makes them ideal for everyday activities, while they are still glamorous and luxurious enough for a spectacular night on the town. More voluminous and luxurious lashes add a natural allure and beauty to your face that could just give you the confidence boost you need. What Types of lashes Terra Spa offer? Terre Spa lashes are Semi-permanent, also known as individual eyelash extensions, are eyelashes applied with an FDA approved adhesive with a stronger bond. Generally, a single lash is applied to each natural lash. When applied properly, neither the extension lash nor the glue should touch the eyelid. For San antinio women Terra Spa provide Eyelash extensions that come in various lengths, colors and thicknesses, from natural-looking, to glamorous, as well as dramatic. Terra Spa Eyelash extensions are waterproof and give the appearance of having mascara on without the messy clumps and smudging of makeup. To keep your eyelashes maintained, one should not rub on their eyes or wear any mascara. Instead, you should use oil-free make up removal wipes, eyelid cleanser, and avoid rubbing around the eye area. It usually takes an hour to two hours to attach a full new set. 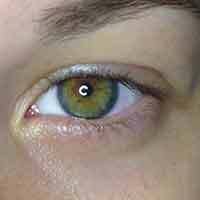 An average person might have anywhere from thirty to eighty lashes per eye. The variance in the number of lashes accounts for the difference in how long it takes to apply them. Terra Spa Eyelash extensions usually last around 3-4 weeks, after which you will notice that the eyelash extensions have started falling out or thinning. Maintaining a full set of lashes will require refill service approximately every 3-4 weeks at any of our San antonio TX locations. in order to to achieve a signature look, the therapist will discuss not only your personal preferences but also how the shape of your eyes and face pertain to your choice of lash style. Once you and your therapist have reached a consensus, we create eyelash extensions expressly for you. Your therapist then applies them to each of your natural lashes with a waterproof bond. 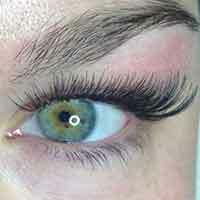 Terra spa has been offering to san antonio women eyelash extension since 2006. That means that the entire process from start to finish is professional and efficient. How often will I need new lashes applied? 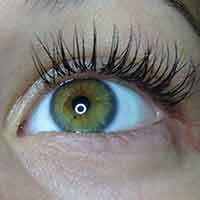 Terra spa Eyelash extensions are semi-permanent. Your real lashes are constantly undergoing the natural process of shedding and regrowth. Depending on your own particular cycle, your extensions eventually fall out along with your natural lashes, making way for new ones. As this ongoing cycle takes place, Terra Spa can fill in your lash lines as needed to keep your eyes looking fabulous.